If there was anyone this week who did their darndest to insert themselves into the personal and private medical decisions best left up to women, it was Congresswoman Marsha Blackburn (R-TN). 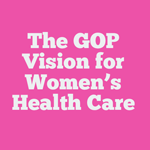 Late Saturday night, anti-women’s health lawmakers in the House of Representatives, showed they are willing to do whatever it takes to stop Obamacare and take away women’s access to health care, even if that includes shutting down the entire government. 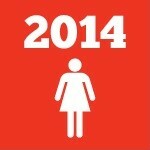 If last November’s election taught us anything, it’s that women’s health is a good investment. 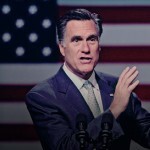 Mitt Romney lost the presidential election (and Virginia) with the greatest gender gap in Gallup’s history. And now guess where he is: headlining a fundraiser, days after a new poll shows Democratic candidate Terry McAuliffe leading Virginia’s Republican gubernatorial candidate Ken Cuccinelli by a 24-point margin among women. 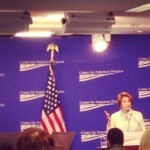 Promoting women’s health, leadership, and economic security—a pretty worthy cause right? We couldn’t agree more. That’s why yesterday we helped launch the Fair Shot Campaign—a partnership of Planned Parenthood Action Fund, the Center for American Progress, American Woman, and the Service Employees International Union (SEIU). 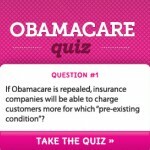 How much do you know about Obamacare? Take the quiz! Don’t know much about Obamacare? Well, you're not alone. According to two recent polls, many Americans don’t understand how the new health care law works — even when they stand to benefit. The Des Moines Register’s editorial board has a message for women’s health opponents: If you don’t understand medicine, don’t try to get in the way of doctors treating their patients. When it comes to women's health, the contrast in the New Jersey special senate election couldn't be clearer. 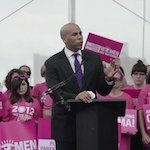 Cory Booker will fight to protect women's access to preventive health services, make sure women have access to birth control with no co-pay, and support a woman's right to make her own personal and private medical decisions—without interference from politicians. 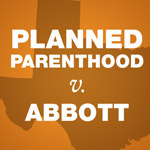 His opponent, Steve Lonergan, has a long record of opposing common-sense women's health.